Benedict Cumberbatch and Martin Freeman have been photographed filming new scenes for Season 3 of Sherlock. Fans are chomping at the bit to see what's in store for Britain's favourite detective and with the BBC offering only a 'coming soon' promise, sneak peek photos will have to do for now. 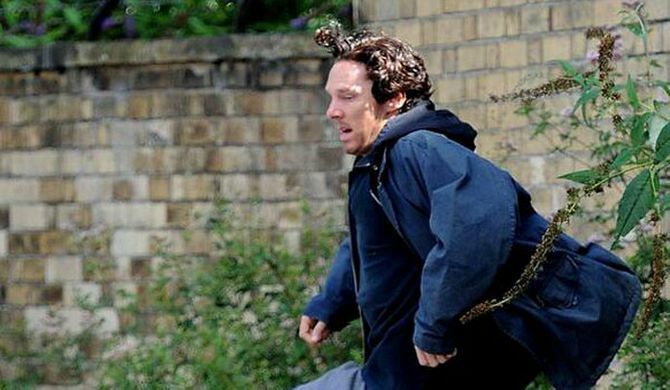 Benedict Cumberbatch and Martin Freeman have been spotted filming for Sherlock series 3. 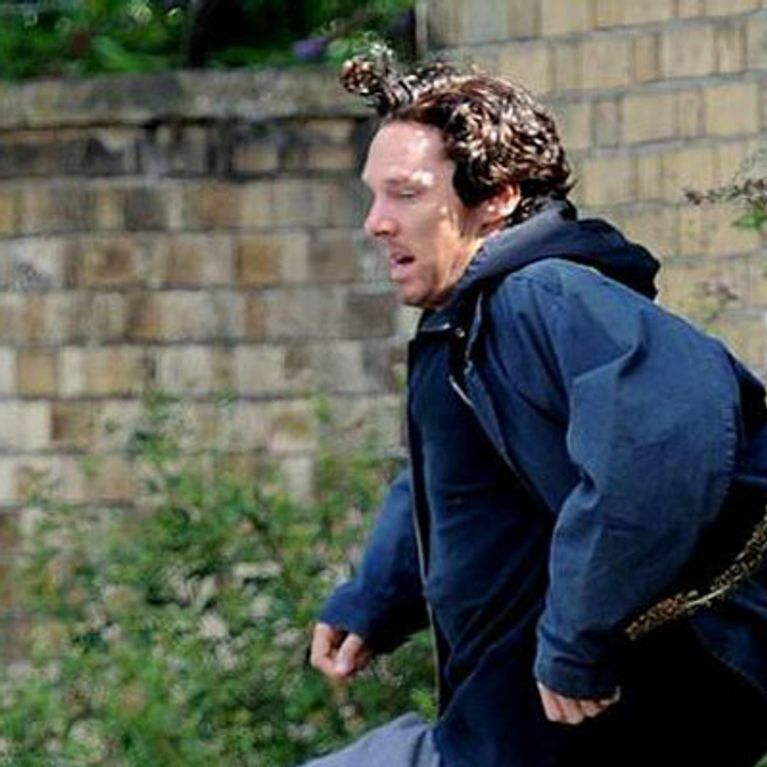 The actors were photographed on location in Cardiff - but Benedict didn't look his usual self. The 37-year-old star appeared uncharacteristically dishevelled, without a tweed jacket or button down in sight. The Baker Street detective was sporting a scruffy coat with tracksuit bottoms and trainers. Given the period setting of the show, it's unclear whether the outfit is part of any costume transformation. But with a shot of the actor jumping over a railing, along with the unkempt nature of the set, it seems there could be some good old fashion Sherlock role play going on. Sadly, that's all the info we've got so we'll just have to wait and see. The show is notoriously secret about the filming of the new series and Benedict even showed the paps on set what he thought of their snaps with a protest sign. He held up a piece of paper that read: "Go photograph Egypt and show the world something important." One thing we do know is that this series will see the arrival of a new enemy for Mr Holmes. Joining the cast is Lars Mikkelsen, known for his role in Danish hit drama The Killing. He'll take on the role of Charles Augustus Magnussen, the detective's latest enemy. The BBC released a teaser video earlier this month with just enough Sherlock atmosphere to last us to the real thing - too bad we have to wait months for the first episode!